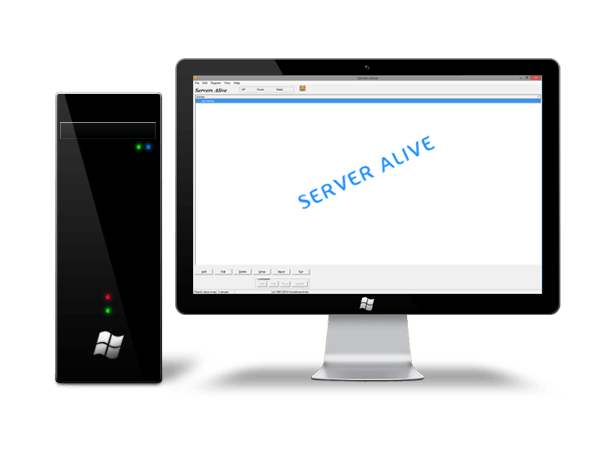 Servers Alive is an end-to-end network monitoring tool running on Windows 2008/2012/2016/7/8/10. Woodstone was founded in 1993 by Dirk Bulinckx and his wife Nancy Brans, and quickly established its place, out of the blue, in the IT-world. People say that dogs and their owners often show similarities. A Saint-Bernard stands for seriousness and professionalism. Just like people could always count on him, you can always count on us. This is where Woodstone makes the difference: we're devoted to our customers and we are responsive! Qualities that customers respect and appreciate. Buying a product from Woodstone is the start of a partnership. If there's anything we can do to enhance the product or help you use it better, we're willing to do custom programming to meet your specifications if necessary. In 1997 we began developing "Servers Alive" and succeeded in making a product that people really loved to work with, because customers could always count on the product and count on fast and efficient support. We made the program easy to use with a lot of possibilities for the needs of the user. And all this for a small price. This award-winning network surveillance and network monitoring software has more features and alerts than any other. It's easy to use and more flexible than the rest, and still very affordable. Pop Pager Monitors a POP3 email account, and upon receiving mail, routers that mail to your cell phone (or alphanumeric pager).